He is known as a lifelong jazz fan -- but veteran broadcaster Gay Byrne (78) found himself listening to albums by Oasis recently before a major interview with Noel Gallagher. "I already knew about them. 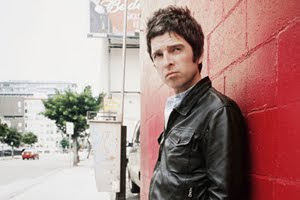 Oasis wouldn't be my bag to be honest with you, but I didn't find it objectionable and Noel was a very likable fellow," Byrne told the Irish Independent. Once again it was Gallagher's mother, lifelong Gay Byrne fan Peggy Gallagher, who persuaded her son to record an interview with the broadcaster for a forthcoming episode of his RTE series 'The Meaning Of Life'. "I have never met Peggy but she seems to hold me in high esteem. When Noel came on 'The Late Late Show' in 1996, it was on Peggy's orders, and I'm sure she had some hand in him doing this recent interview," Byrne said. Among the subjects discussed was Noel Gallagher's estranged father, Tommy. "He spoke to me about the impact his father had on his life. It seems to be he wrote his father out of life early on. You are finished, gone, and no longer relevant. Sort of 'goodbye, thanks, it's over'," added Byrne. Another troubled relationship Gallagher spoke about at the hour-long interview given earlier this month in Dublin's Merrion Hotel, was with his brother Liam. Their final row prompted the end of million-selling rock band Oasis. "Will Oasis get back together? I'd say it's unlikely," the former 'Late Late' host said.